This is seriously misguided. The main charge of this Liberal is that Christianity is a bloodthirsty, conquering religion, while your (Cesar Tort, WNs in general) charge seems to be that Christianity wussifies and prevents Whites from being bloodthirsty and conquering. Don’t internalize the Liberal frame! 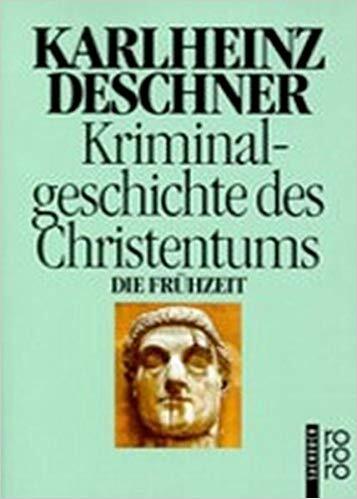 Deschner is indeed a liberal, but the point of posting it is that American WN Christians ignore the history of the Church. Christianity *was* a bloodthirsty, conquering religion. The history of Christianity shows that. Christianity no longer has the power it used to have to commit such crimes against non-believers as murder, torture, imprisonment, etc, and its loss of such power is a good thing. Chechar’s main criticism of Christianity is its egalitarian side, which is still alive and well in that putrid religion: a Christian is taught to believe that we are all equal, and, for example, “saving” niggers in Africa is a worthy and rewarded-in-heaven goal. Rubbish. Absolutely. Just listen to the most recent pronouncements of the Pope in Brazil. He is telling rich people (i.e., Latin American whites) that the clothing in your closet you don’t use too much doesn’t belong any longer to you, but to the poor (i.e., the mulattoes, the mestizos, the mudbloods…). I have a nice permutation. Reform Identity; it takes Christian Identity idea that Whites are Israel, and therefore Chosen, but combines this with the morality of Reform Judaism, so no silly Old Testament rules. Zionism takes its Nationalism from the Old Testament, but can be very Secular in other ways, so the logical jump is not impossible. The most important mitzvah in Reform Identity isn’t circumcision but learning Hebrew, a very useful skill for obvious reasons. Learning Hebrew? Gimmi a break! Learn German and the hyper-Nordic, extremely beautiful languages that Tolkien treasured instead! Nietzsche’s and Himmler’s solutions are far more economical. CI’s & Reform Identity’s gross violation of the economy principle is precisely due to Christian / Neochristian axiology. Giving up such moral grammar means thinking like Linder, not like a neocon. Tolkien’s languages are indeed a very good choice. The answer is European paganism, no more, no less. Chechar yours was the first WN blog i found, by accident, but your Christianity was always a turn off. Christianity is a religion of meekness and submission, it is designed for Jews not us, let it go embrace your true heritage. It’s almost as severe as your pacifism. When? You are mistaking me for another guy.